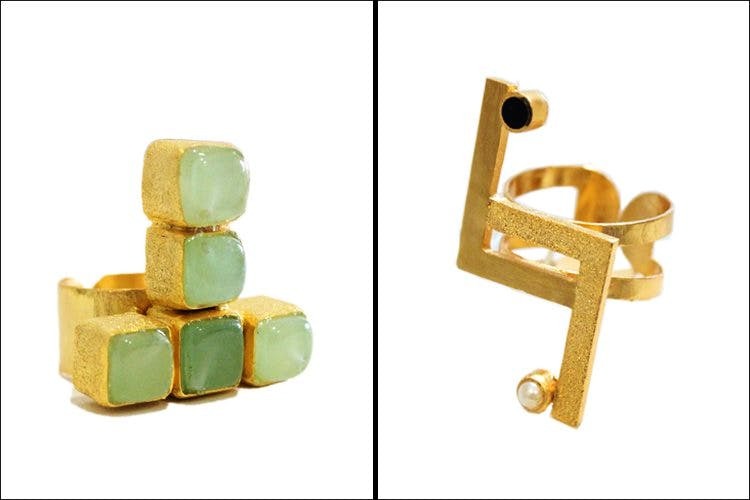 For gamers that slay, we found edgy jewellery inspired by the classic game of organised chaos – Tetris. Then, you should put a ring on it, right? They think so. Made by Hyperbole Accessories, this is a collection especially themed around Tetris and has the linear geometric elements in their earrings, rings, necklaces. The material used is gold plated brass, and also has pearls, agate stones and enamel used in combination. It is priced between INR 1,200–2,200. Even if you weren’t into the game, we’d definitely recommend adding this golden tetris necklace to our accessory collection in a heartbeat for an all-day all-night statement piece. They offer free shipping on orders worth INR. 1,500. C.O.D is available too with a charge of INR 50. Wear these and you might find the outfit-match as satisfying as the click when the bricks would fall into the right slot. We aren’t exaggerating. Try and keep it away from water for it to avoid rust.